BANGKOK (AP) — It’s more than eight times bigger than Vatican City and twice the size of Cambodia’s ancient Angkor Wat, making it quite possibly the world’s biggest religious complex. Yet few non-Buddhists have heard of Wat Dhammakaya, a sprawling, extravagant temple compound north of Bangkok that has been at the center of a high-profile power struggle between monks and Thailand’s ruling military. A gilded golden dome glimmers at the compound’s center, appearing to hover UFO-like over meditation grounds large enough to accommodate a million Dhammakaya devotees hailing from more than 30 countries. Its 15-story globe-shaped office, called the “U.N. of Buddhism” by followers, features an assembly hall to convene thousands of Buddhists. For nearly a month, the temple was under siege by more than 3,000 troops and police officers. Police had sought to arrest the temple’s abbot, Luang Por Dhammajayo, who’s wanted on money-laundering charges. It’s a complicated case involving money and politics, and observers say its outcome could shape the future of Thailand. Dhammakaya’s proselytizing, executed with private-sector efficiency, is unusual for a Buddhist sect. It runs meditation centers from Belgium to Bahrain, Singapore to the Solomon Islands, and broadcasted its own 24-hour TV channel (with an in-house animation studio) until authorities shut it down in December. Critics say Dhammakaya interprets Buddhism in unorthodox ways. Instead of focusing on detachment from worldly suffering, Dhammakaya teachings are infused with talk of a cosmic battle between light and dark, urging supporters to bring others into the fold to bring about world peace. One gated 120-acre compound is reserved for up to 400 “advanced meditators,” complete with exercise machines, golf carts from Japan and round-the-clock CCTV security. Only senior monks are allowed into another walled area. Dhammakaya sees worldly activity as crucial for its divine mission, and has drawn a strong following among middle-class people who had trouble connecting with traditional Buddhism. For the temple, donations equal merit. Temple donation boxes feature signs that read “Entrance to Heaven.” Dhammakaya says that over the years it has received hundreds of millions of dollars from a million people. Critics allege the temple scams ordinary people to build plush pads for corrupt monks. Stories abound in Thailand of friends and relatives asked to donate their life savings to cement their ties to the temple. During the raid, pictures of exercise and massage rooms, golf carts and minimalist glass-and-steel condos were splashed across Thai media. Local papers claim the temple cost 350 billion baht ($10 billion) to construct, a figure that Dhammakaya disputes. Thailand’s ruling military junta says it’s targeting the temple for a simple reason: fraud. One of Dhammajayo’s followers, the head of a credit union, was sentenced to 16 years in prison for embezzling money, 1.4 billion baht (about $40 million) of which was donated to the temple, police said. Dhammajayo was charged with money-laundering and receiving stolen property. The sect says Dhammajayo did not know the money was tainted. Instead, some devotees believe Thailand’s ruling military junta is trying to consolidate power. Though the temple says it’s politically neutral, some view it as supportive of former Prime Minister Thaksin Shinawatra, who was deposed in a 2006 military coup engineered by conservative forces. Thaksin lives in self-imposed exile to avoid a prison sentence but remains a political force. Buddhism is one of three pillars of Thai society, along with monarchy and nationhood, and its institutions have political heft. Monks are granted many concessions, including not paying taxes and being exempt from arrest until they are defrocked. Dhammakaya stands apart from Thailand’s Buddhist establishment and maintains its own hierarchy. It is run by a board of about 20 senior monks appointed by Dhammajayo. The sect’s insularity has led to establishment suspicions that it’s plotting to upend Thailand’s political order. One critic, former Dhammakaya monk Mano Laohavanich, even compares the temple’s globalist ambitions to Nazi dreams of world conquest. Police sent thousands of officers to the temple during the weeks-long raid, and about 10,000 temple supporters lived in tents to deter officers from entering the grounds. Both sides agreed to end the standoff March 10. Dhammajayo’s whereabouts are unknown. The battle isn’t over. The government, keen to avoid any bloodshed, is shifting the fight to courtrooms and the Sangha Supreme Council of Thailand, the nation’s Buddhist authority. King Maha Vajiralongkorn Bodindradebayavarangkun has stripped Dhammajayo of his titles. The government has slapped criminal charges on senior monks and continues financial investigations. The government wants Dhammajayo defrocked, but only the Sangha Council can do that. Even if it does so, resolving the case could take years if it is appealed. Some observers predict the junta will confiscate Dhammakaya assets by pursuing legal charges against the temple’s foundation, which holds much of its property. Elections are scheduled in 2018, and some believe the junta is racing to cement its allies in key positions before it must hand the reins to a civilian party. The extent to which they succeed could determine Thailand’s delicate balance of power in upcoming years. 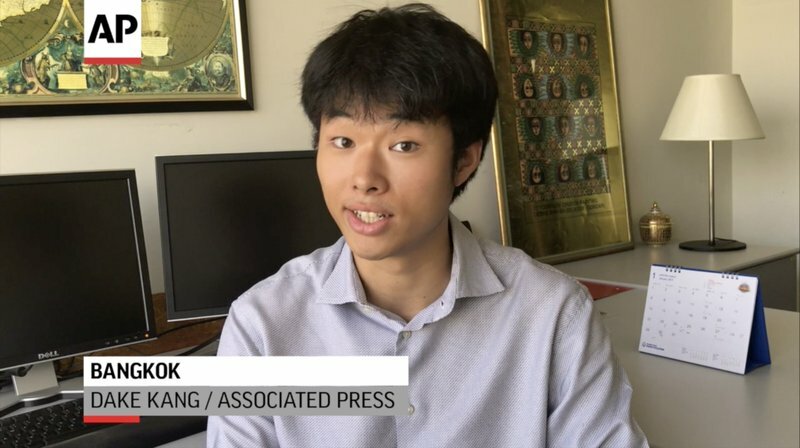 Video: Associated Press reporter Dake Kang speaks about Dhammakaya Temple.